Mobile phones had evolved from a point-to-point device into a community-based technology that allows us to interact with several persons at a time. It enables us to share several multimedia messages with the use of the internet. The fact that most of us also share our location with each other makes the web even more interesting. Most of the apps today use location information to push relevant content to each user. Apps like Foursquare, Facebook, Swarm and even Twitter uses your location to offer relevant deals that you may find interesting. And other apps are just ingeniously designed to use these information into something different. 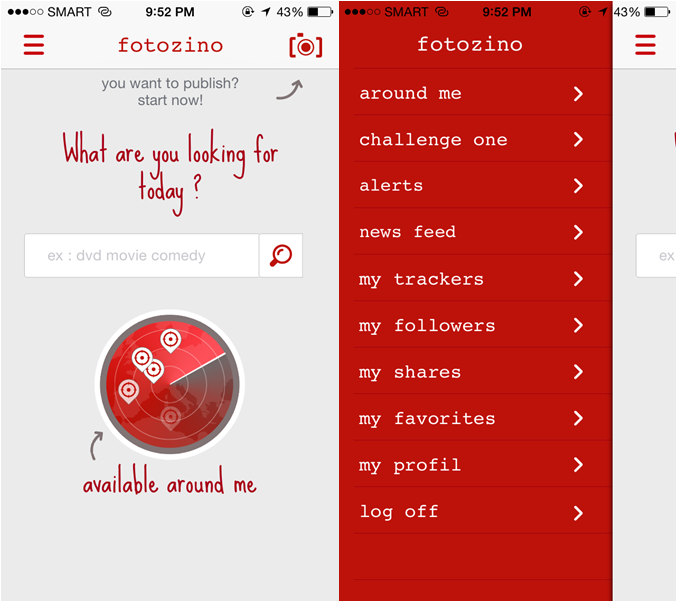 Just like what the developer Olivier Lequellec did with its own Fotozino app. Basically, the app allows a "fashionable" way to sell your old items with the use of geo-targeting. 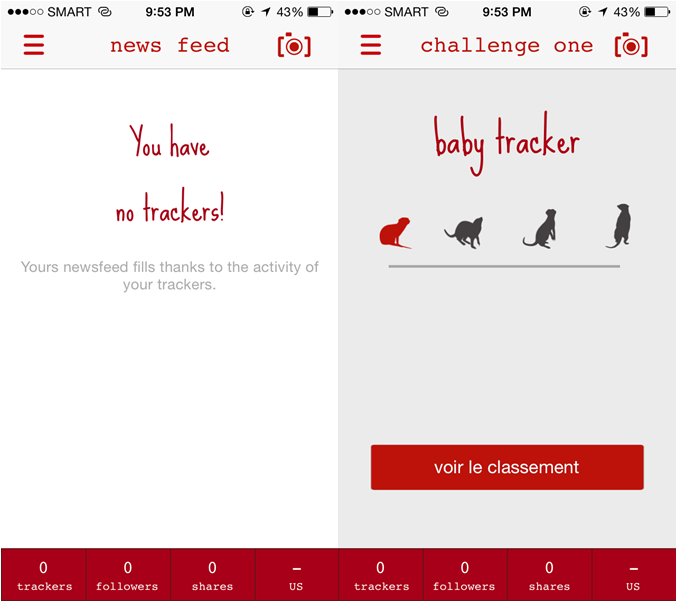 The app offers a nifty interface that allows you to search anything that you need on it. In turn, it will present you with items and offers posted by users within your vicinity. Thus, the chance of finding the deals that you have wanted is in high bars. And since deals are within near proximity, shipping fee is free. Posting an item online is also a walk in the park. The app utilizes your phone's camera so that you can point-and-shoot the items that you wanted to sell. The whole experience will give a very unique way of setting up a garage sale, or just publishing the thought that you don’t need that extra chair in the attic anymore. The app itself is very engaging. The level of infused energy with the red and white colours makes it more interesting with the ordinary users. Being a first time user, getting my way through the app is very easy. The simple and minimalist design is also a breath of fresh air. When you open the app, you'll be prompted with the omni-present search bar. Right then and there, you'll also be directed to place an item using the very chic camera icon. Pulling the tab on the left, you'll be greeted with several menus. One of my favourites is the Newsfeeds that presents the most recently posted items in the app. You'll also have the gallery view which flashes the photos. There's also menus intended for your followers, trackers, shares and favourites which I find very useful. However, one thing I don’t like about the app is that it features phrases like "voir le classement" that I do not understand. But, of course, you can just search the meaning over Google Translate so that you could get through this issue. Other than that, there’s nothing to complain about it. 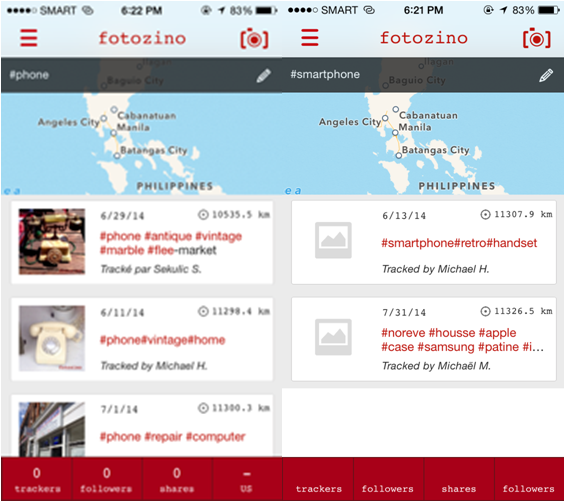 Fotozino is one of the unique apps that challenge your imagination on how you can optimize geo-targeting. Your success with this app depends on how you use it. It definitely is free and doesn't get commission from users. The deal is just between the seller and the buyer. You can download it over App Store and Android for free.